The resurrection of Sliger’s Market began last September when Hometown Market owners Bertha and Cayla Furry announced their plans to sell the property to a business developer with Bertha looking to retire and Cayla looking to focus her efforts on the blossoming Early real estate market. Sliger managed the store since 2011 and after hearing the Furrys’ decision found a property on Coggin Avenue, then contacted the city for assistance in keeping his family’s tradition alive. "Brownwood went above and beyond to get this going. Any business that wants to come to Brownwood needs to know the city will work with them any way they can,” Sliger said. 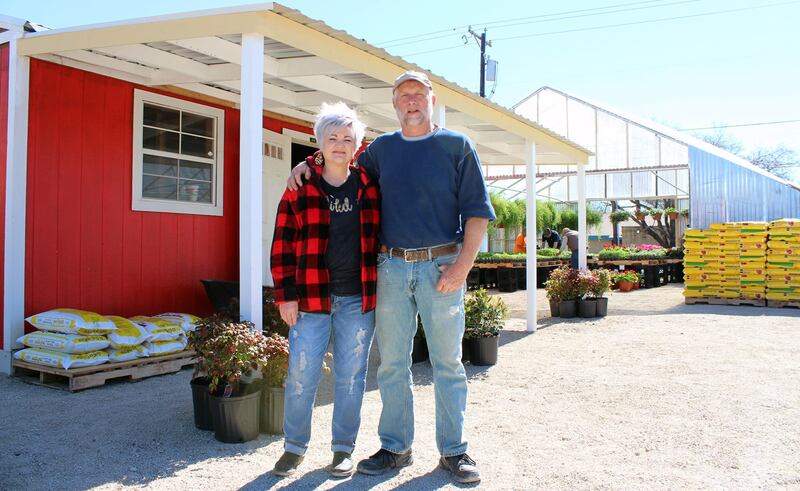 In preparation for Saturday’s soft opening, Sliger and his wife Kim spent much of the day Friday, and into the early hours of Saturday morning, getting the property ready. Two hours into the soft opening customers grabbed lemons trees to purchase Harris Nursery employees set them down after delivering them from their location in east Texas.